A beautiful, well-maintained lawn is the pride and joy of any homeowner. Lush carpets of rich green grass paint the perfect picture of a garden whose gardener and landscaper know their job and do it correctly. Be it seed or sod, a lot of work has to be put into their cultivation, thus achieving a kempt look. For best results, experts advise seeding around the times at the end of September to the middle of October when the conditions are most favorable. Germination may take a little over 28 days, but seed variety will be of significant influence. 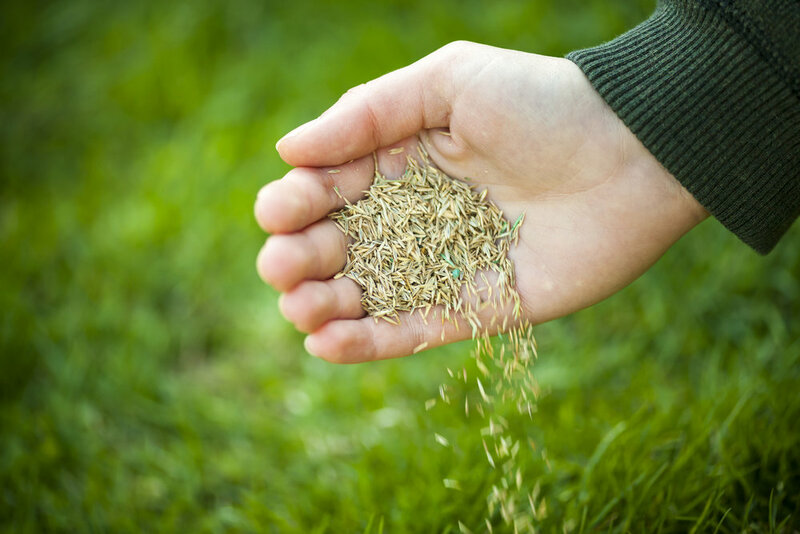 Our seeding process includes an application of our organic based products we use in our lawn care program. It boosts the germination rate and helps the turf start out right. We have seen good rates of germination in 10 days. Sodding, on the other hand, requires laying out in under 24 hours to avoid drying out of the delicate roots. It is famously ‘instant’ and is, therefore, an excellent choice in the control of soil erosion. It is no secret that seeding is a relatively cheaper choice compared to sodding, and is the most preferred for lawn installation. The cost of sodding is manageable if a budget is set aside for it. Sodding is much more labor intensive. Right from the harvesting of turf, to the final lawn installation, great care has to be taken to avoid damage to it and to ensure it is laid down to precision for that picture-perfect finish. Whichever choice of lawn installation you make, it is important to note that moisture levels must be maintained during its formative period. Watering and more watering is required for optimum growth at whatever stage the grass is in.